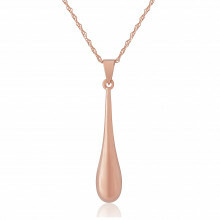 Add instant style to your wardrobe with a flash of Rose Gold with this classic tear drop pendant. 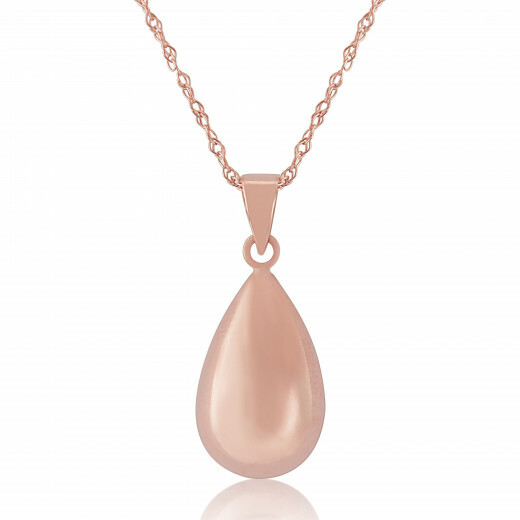 This pendant is crafted from 9ct Gold and features a delicate “prince of wales” chain and bolt ring fastening. You also have the option to shorten or lengthen chain from 16 to 18 inches adding versatility. 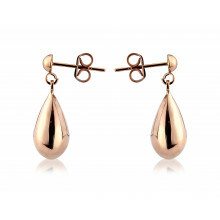 Matching earrings available, sku 7K68R.